I told my husband I really want a place with great views. without a neighbor's house in the way. Or a tree lined lake would do. I think unobstructed is the keyword here. we will be ready for a great view. and sunlight is just a little hard to find. Those bottles are so pretty! 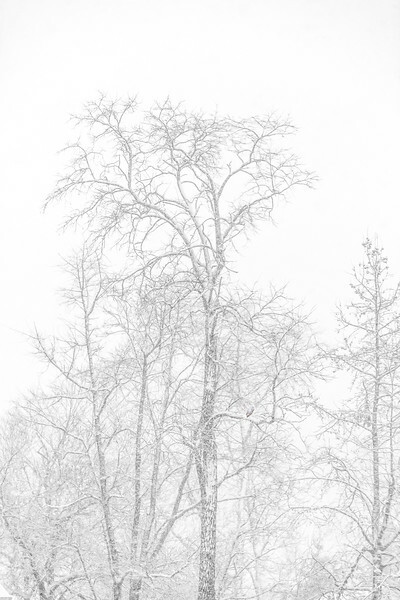 Love the snowy view and thanks for linking up! I was raised in the Chicago area, so I can sympathized with the weather. I do hope it warms up soon for you. I like your shot through the window. you have a pretty view but i understand completely what you are talking about. we live on a river, i see amazing sun rises in winter....when i can drag myself out of bed early enough to see them. you captured a male cardinal in image #2, i'm sure you noticed him. if you put out a feeder you will have lots of visitors, it may enhance your view!! Your views are very pretty. Love the Narnian lamp post. The blue bottles on the windowsill make for a really lovely shot. I love old bottles in windows, the light inside changes. In my home, inwhich i will live again in June, the light doesn't shine into the bathroom so I had a friend paint me a window ledge with bottles to hang on the wall. Do you have a view picked out? it looks so pretty. I will be seeing much the same out of my windows as we are expecting as much as a foot of snow tonight. I love the way the low winter light looks shining through the blue glass in your windows. Well I absolutely LOVE those views you have ... And the beautiful bird on the branch..Wow! Thanks so much for sharing these with us at Our Beautiful World! You've shown some more lovely photos this week at Sunlit Sunday. I especially like the one with the light coming through the blue bottle. I trust you will be visiting some of the other interesting links. There are many to enjoy. I can go on my porch and scream and nobody would hear most of the time. Getting to move soon? I just want a big kitchen and dining room and a creative space with lots of windows and lights and high ceilings. Oh and no neighbors within sight would be a huge bonus. The blue glass really stands out against the monochrome in the bottom photo. Nice shots even without lots of sunlight. 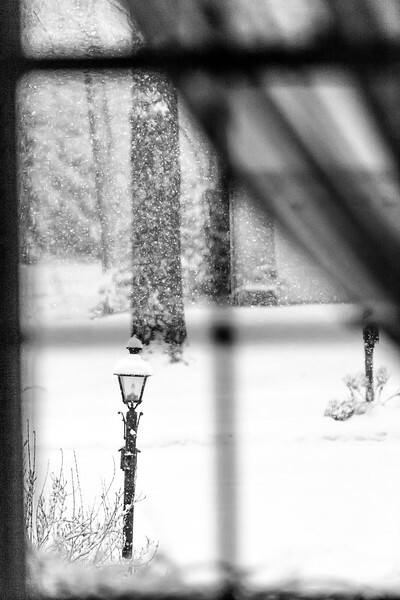 Why is it that snow and rain make such beautiful photographic subjects? I love the blue glass and I like your vision of retirement living. i was tempted by the 'repetition' of the blue glass but love the repetition that you captured within the "Through the Back Door" image too. 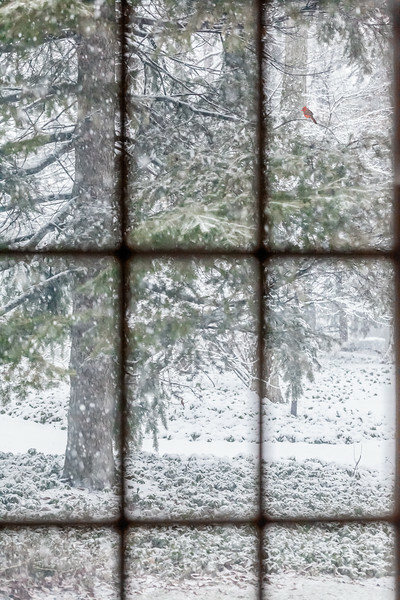 The red bird I the snowy, green tree is a pretty nice view to have! Wow! It does look like Narnia!! I live in the tropics so have never seen a view like that. Great photos, thanks for sharing. Your photos are beautiful. I particularly like the first one. It IS Narnia with the lamp post!